Essential oils are the life force of plants. They are extracted through a rigorous steam distillation process. Plants have their own immunity, hormones, and scents. This is the source of Young Living's pure essential oils. Young Living has over 20 years experience, and are true pioneers in essential oils. Their Seed to Seal promise is unmatched. You can read more about it here. Members receive 24% off of retail prices. You will also gain access to the Sweet Oil Social's exclusive support, private classes, online groups, and more! A wonderful place to begin is our team's guide. What IS A YOUNG LIVING membeRSHIP? There is no renewal fee. Just purchase $50pv of product each year to keep your account active. No minimum order. You can order whenever you like and as often as you like with 24% off the retail prices. Wholesale members are also called “Distributors”. However, you do not have to sell oils and there is no pressure to do so. If you are interested in turning your love for oils into a business, we can help! You will receive a member number you can share with family or friends! WE RECOMMEND CHOOSING THE PREMIUM STARTER KIT. Welcome to Young Living booklet, At a Glance user's guide, Product guide, Product Price list, and more. The price of your kit depends on which diffuser you select. 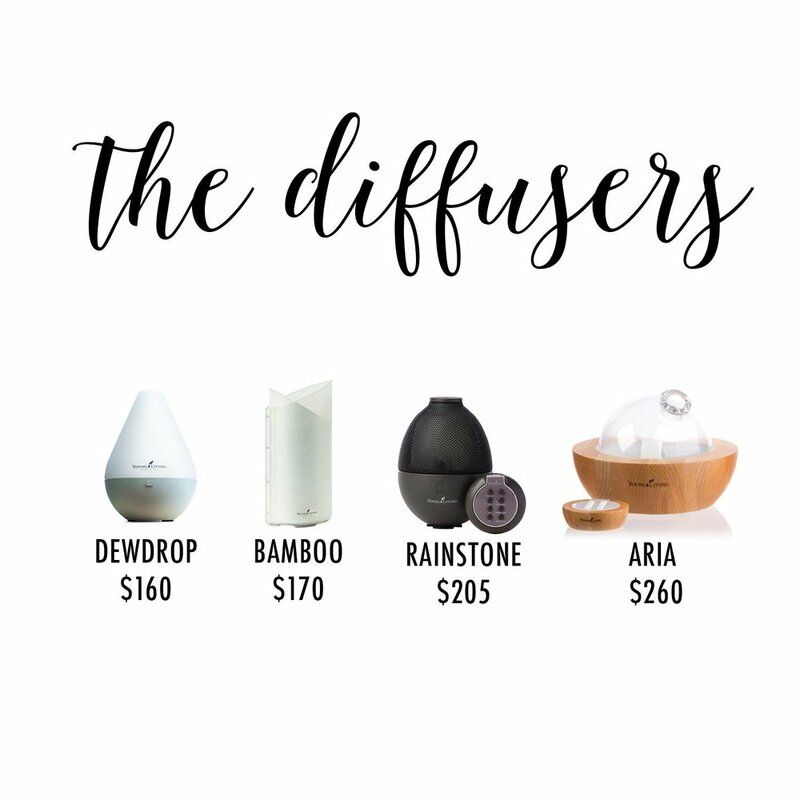 See the diffuser comparison chart to determine which diffuser would be right for you! 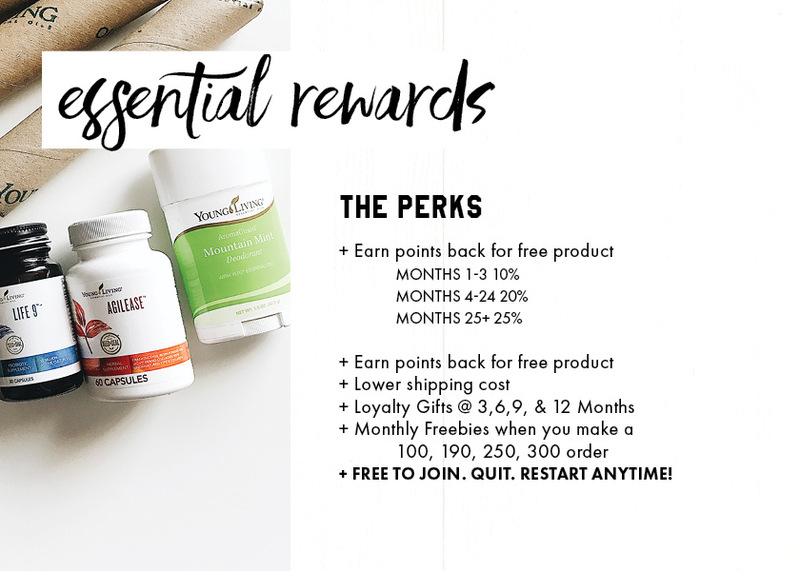 Essential Rewards is Young Living's loyalty program. It is our favorite and most affordable way to build your wellness collection with oils, supplements, skin care products, and chemical free cleaning supplies. It is completely optional, free to join, and you can cancel this service at anytime! - Click save until it says "Congratulations you have completed your Essential Rewards order."